This item has been downloaded 1492 times. 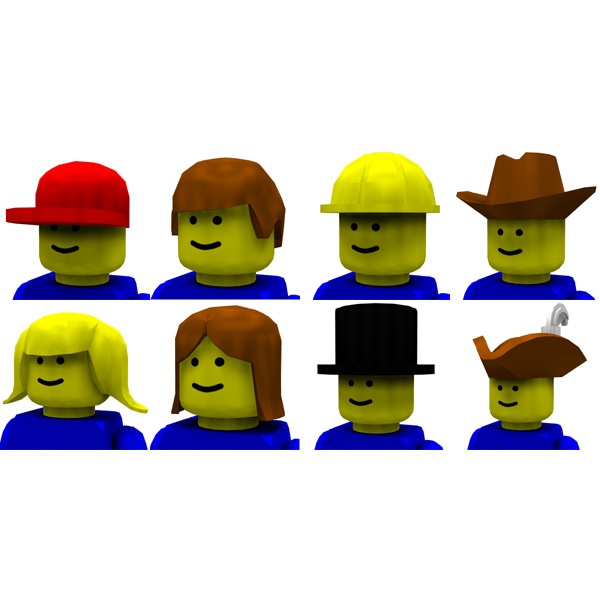 A set of eight hat and hair props for the Modular Brick Figure, also available here. Poser props: obj, pp2/ png; UV mapped, no texture maps needed; scaled and parented to the Modular Brick Figure`s head.